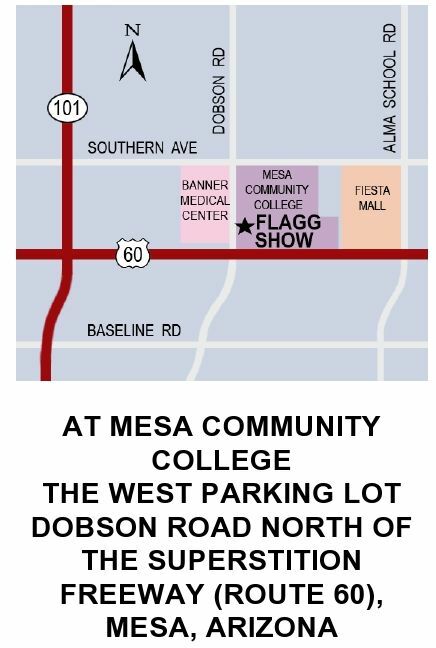 The Foundation sponsors the annual Flagg Gem and Mineral Show. This show is usually scheduled for the first weekend in January and is our largest fundraising event. The show, however, may occasionally move to the following weekend to avoid conflicts with New Year’s Day celebrations. 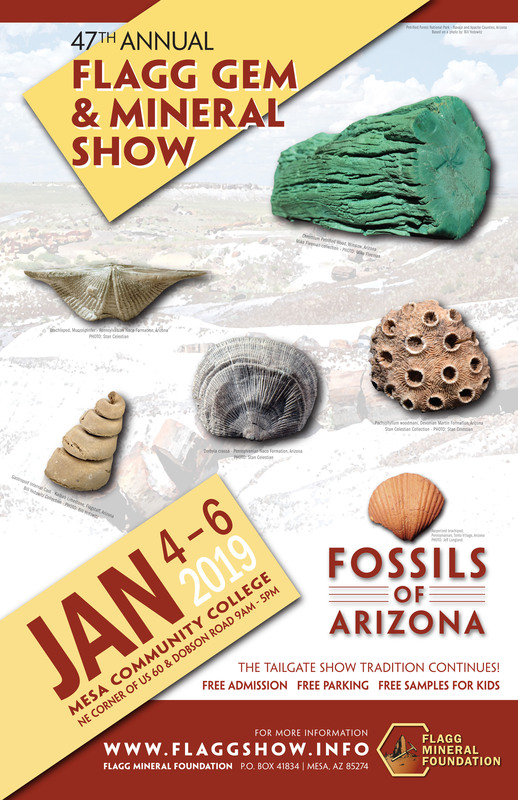 It’s informal tailgate format offers a low cost venue for field collectors and local mineral/lapidary clubs to share their latest finds with children, teachers, rockhounds, and the general public. 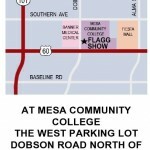 The show is held at Mesa Community College at Dobson Rd. and the Superstition Freeway in Mesa, AZ and parking and admission are free to the public. One goal of this show is to increase the interest of children in rocks, minerals, geology, and science. Children can become interested in science through minerals, crystals, and fossils, and our hope is to encourage their interest. Several groups will have free samples for children and for teachers and there are free activities as well. The 2020 FGMS poster will appear below once complete, until then here is the 2019 poster!